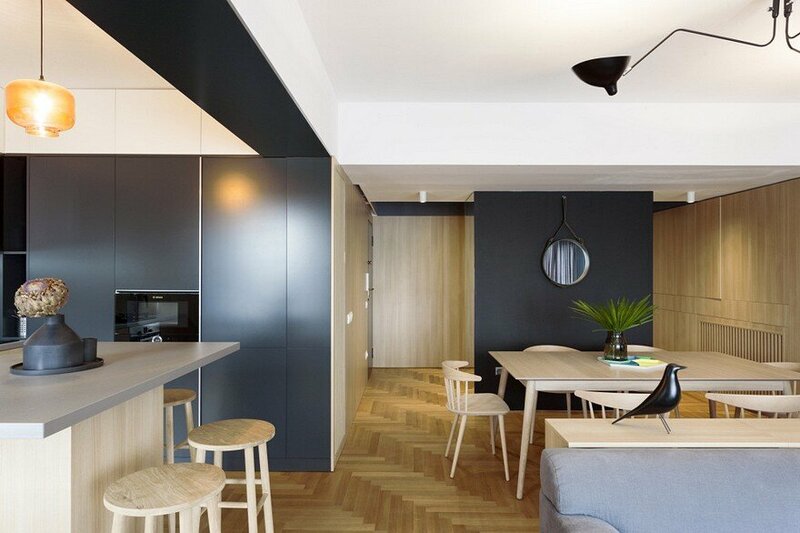 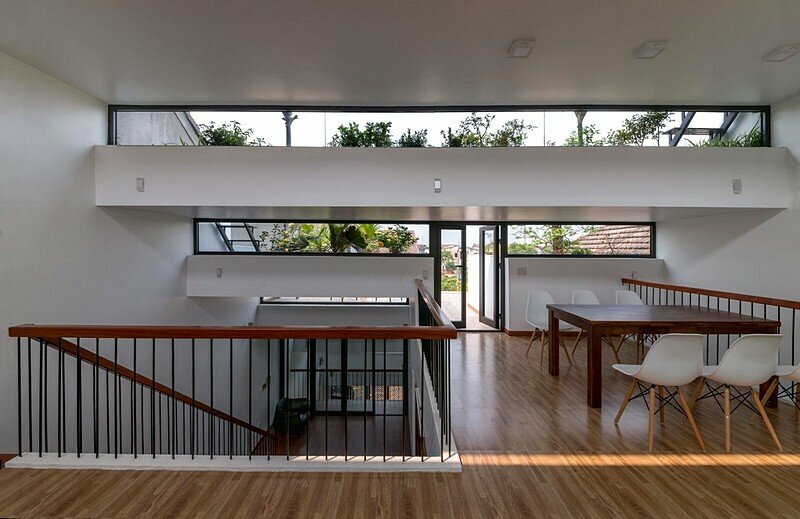 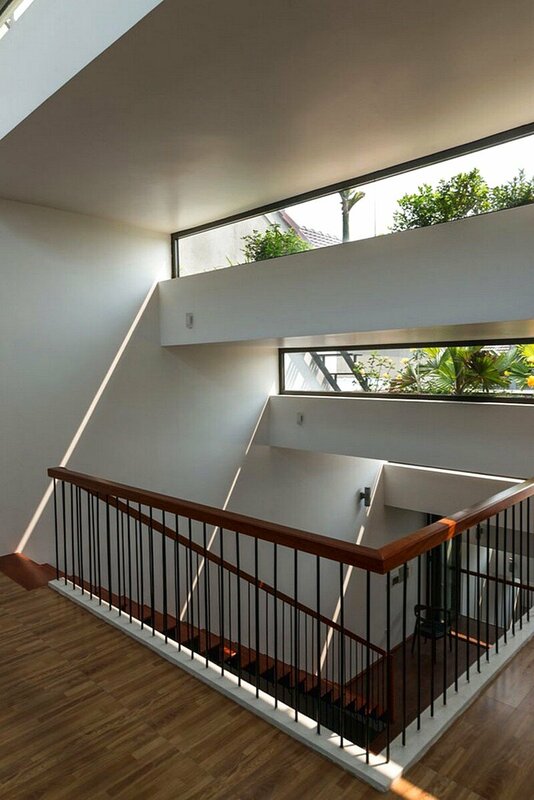 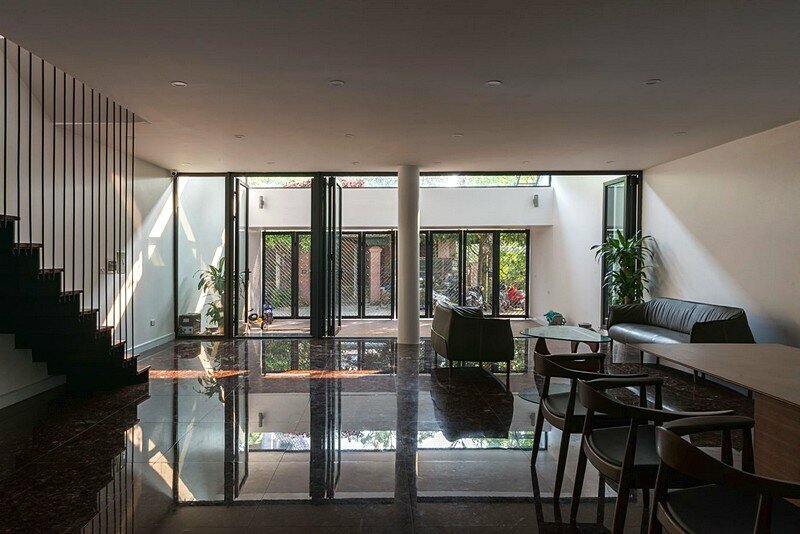 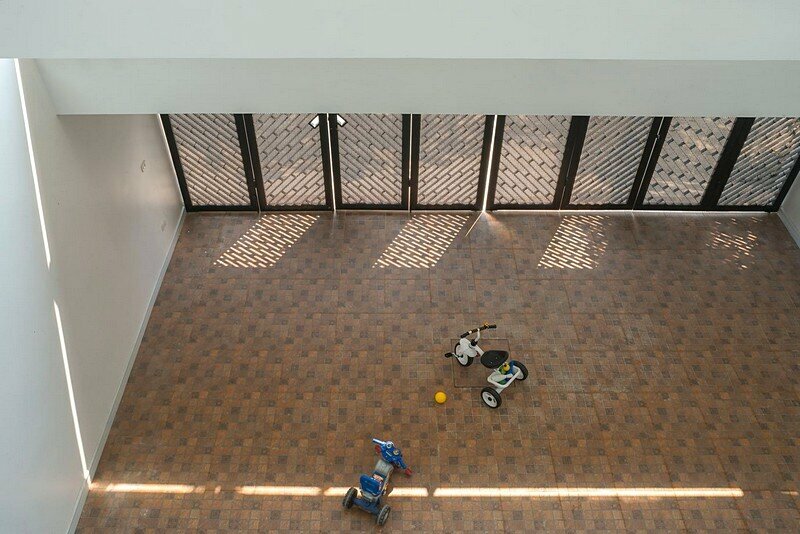 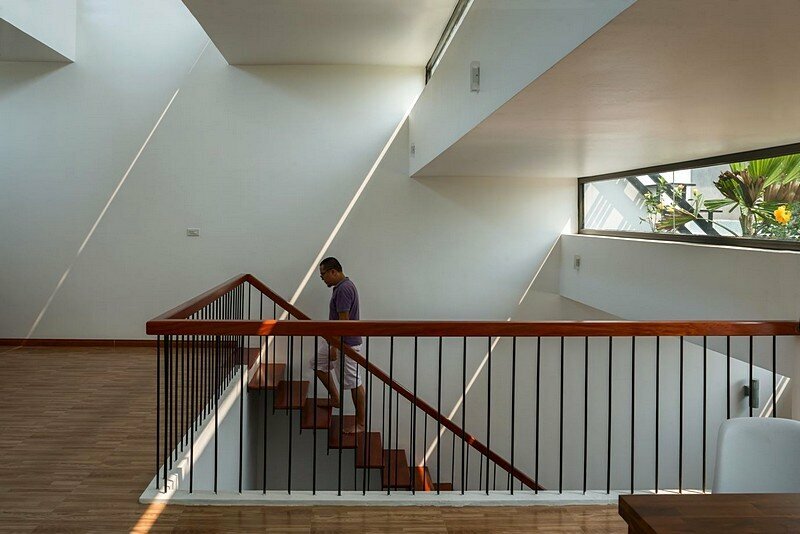 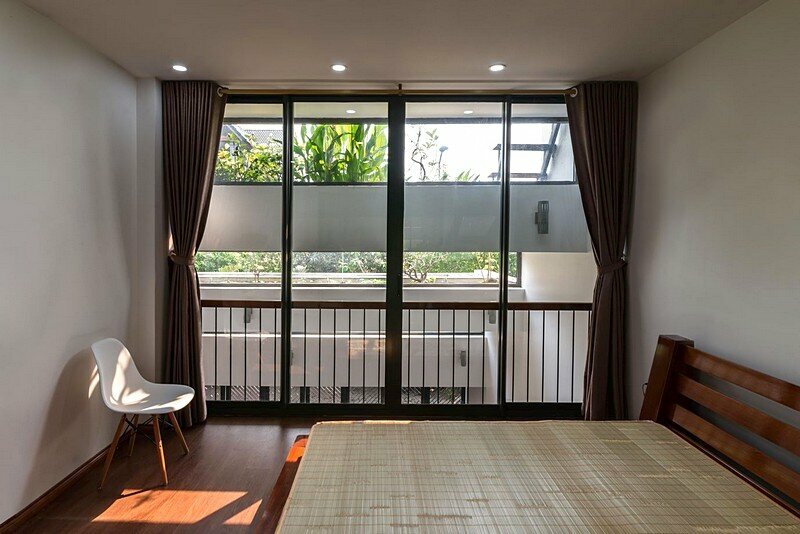 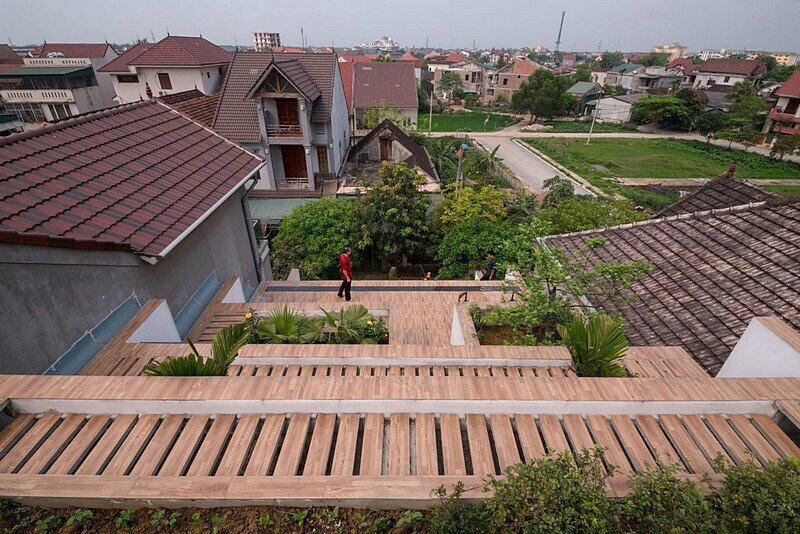 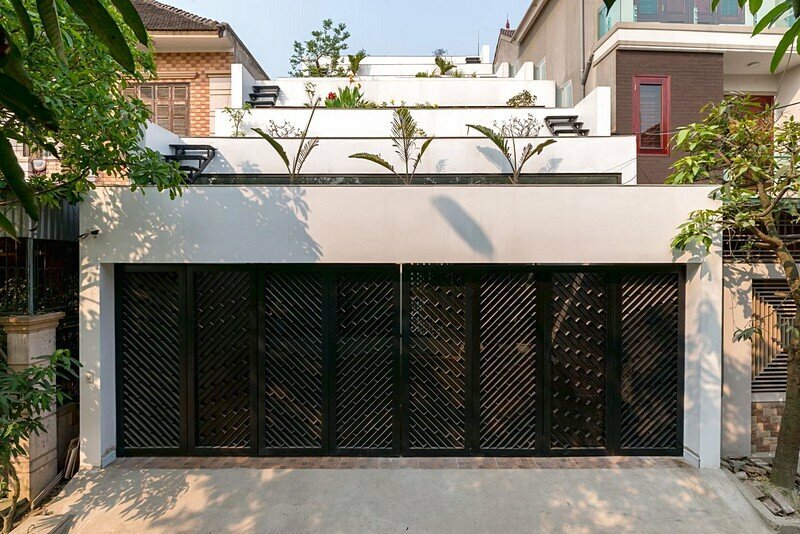 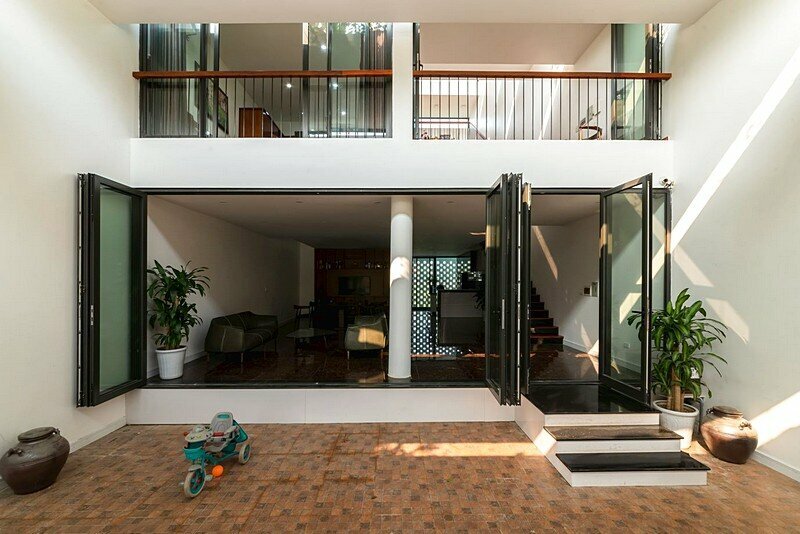 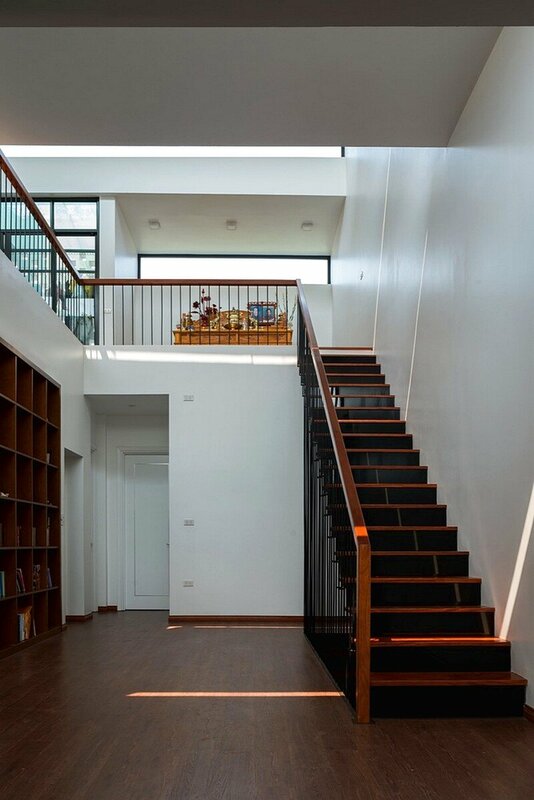 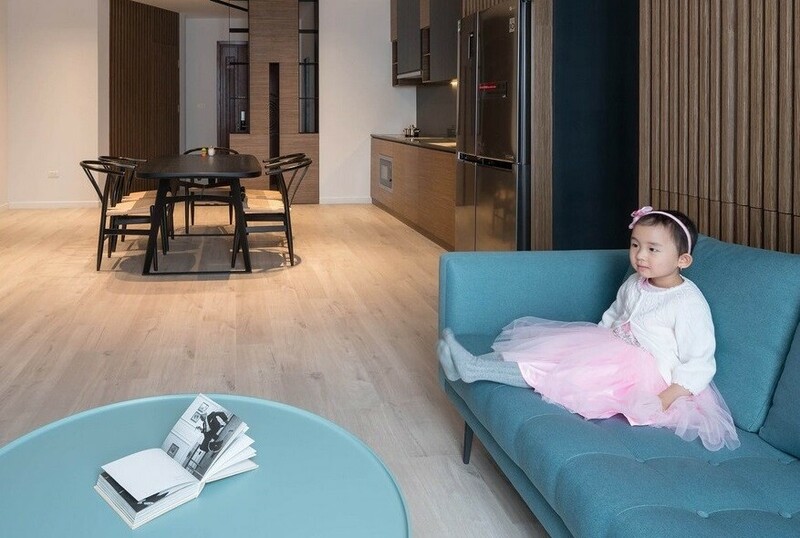 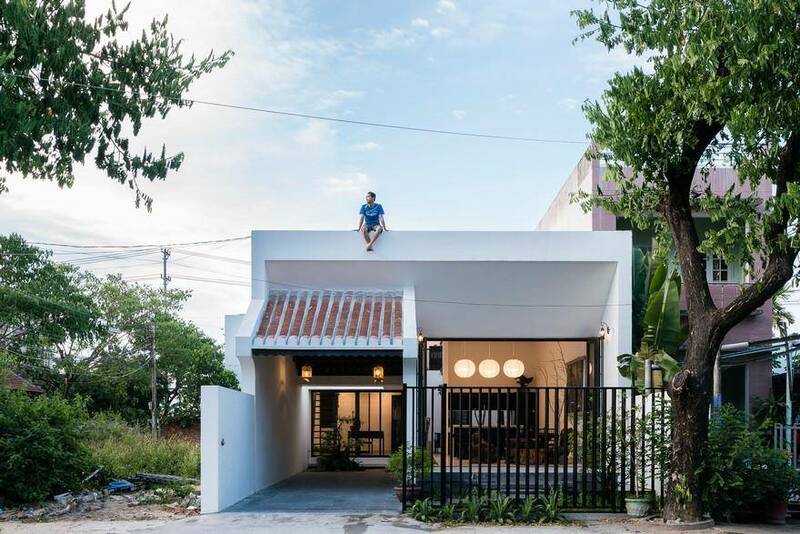 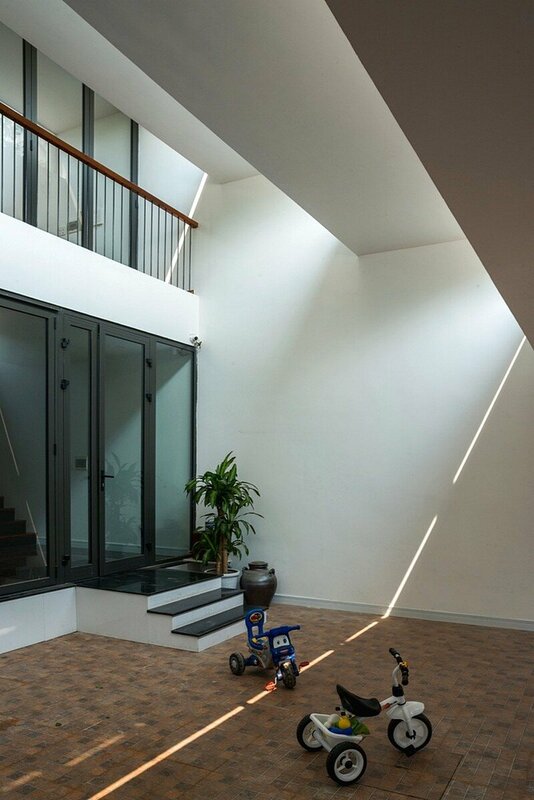 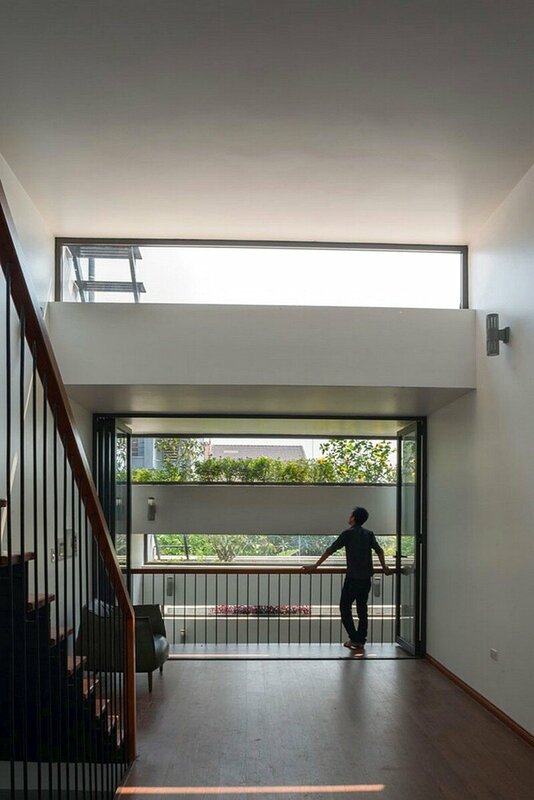 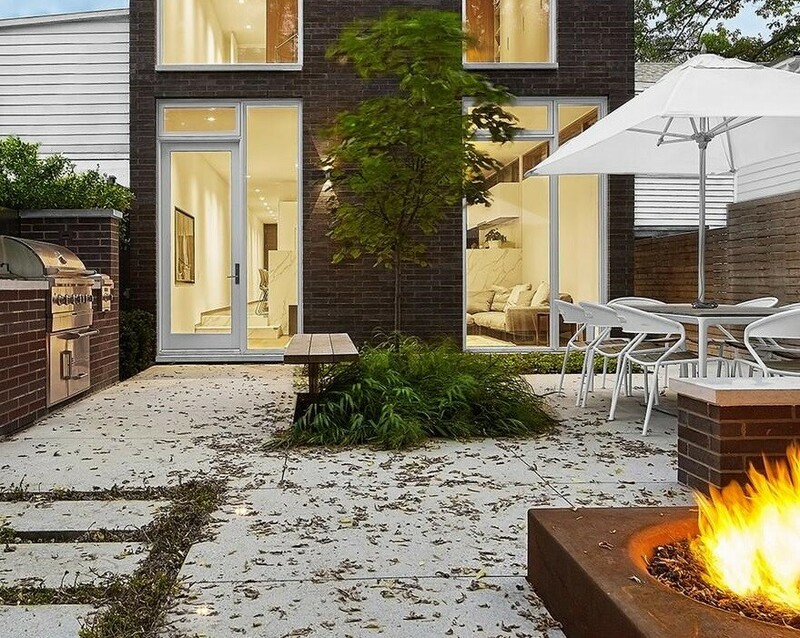 Terraces home is a single-family residence designed by Vietnamese studio H&P Architects. 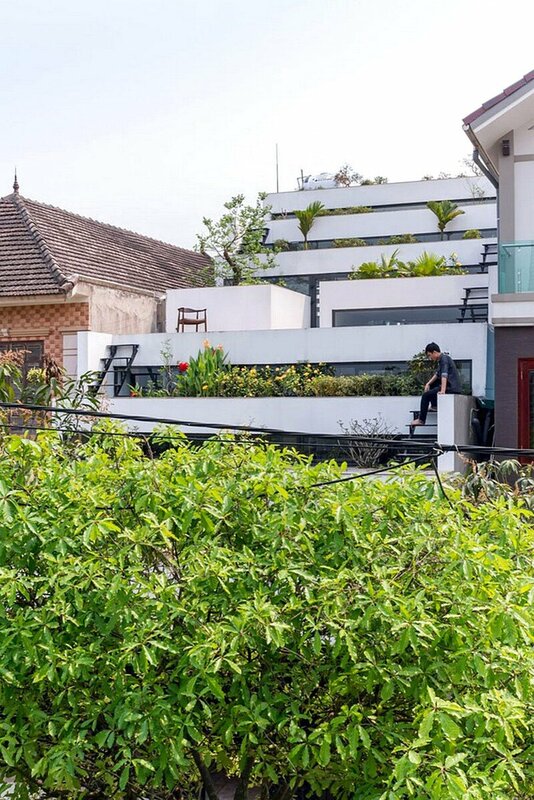 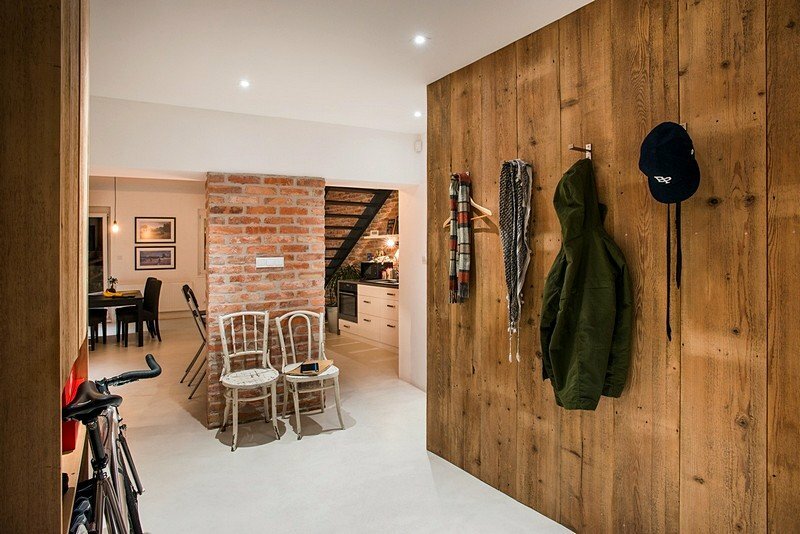 Project description: As a part in a chain of Agritecture development projects, Terraces home adopts the combination of Architecture and Agriculture (Agriculture + Architecture = Agritecture) as a basis for sustainable development. 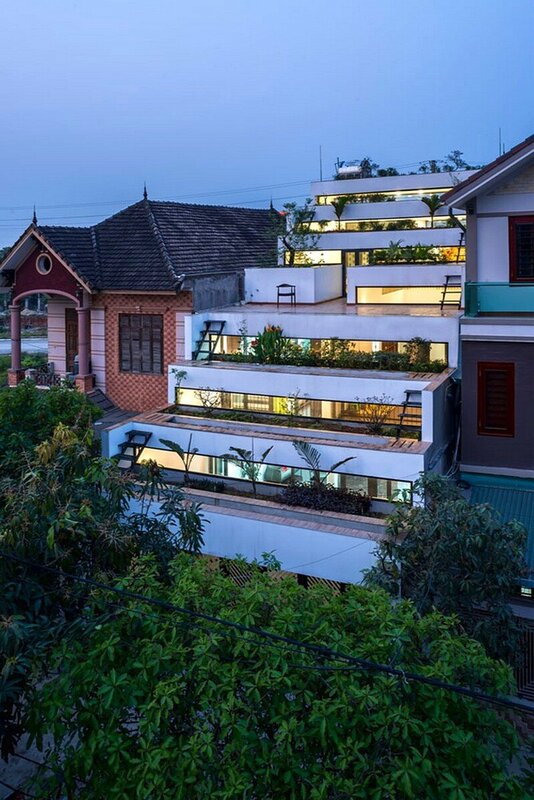 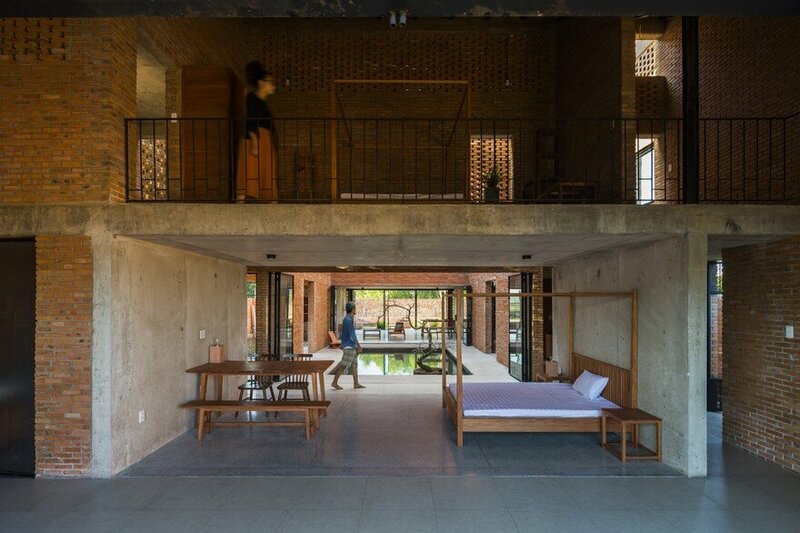 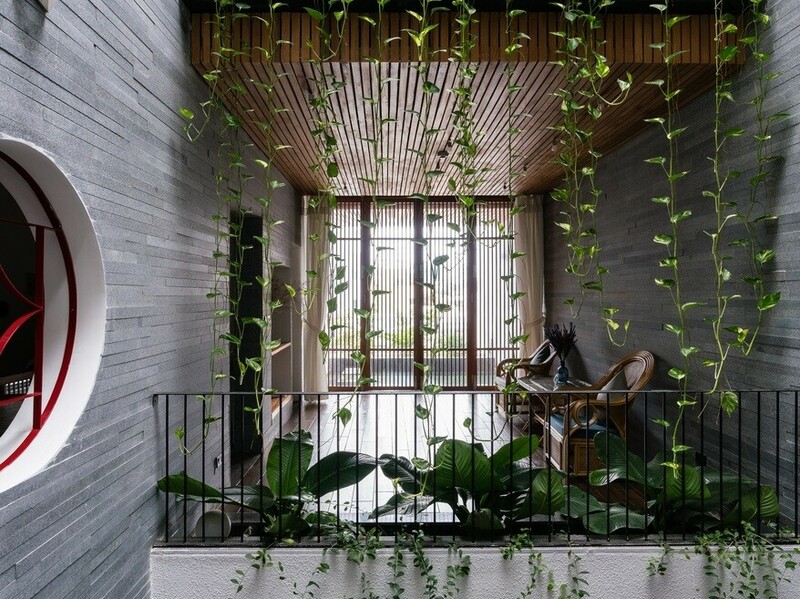 The idea is to combine the two distinctive elements of Vietnam’s rural areas: The house (accommodation space) and terraced rice field (cultivation space) to create a Home with blurred boundaries in and out; above and below; common and private. 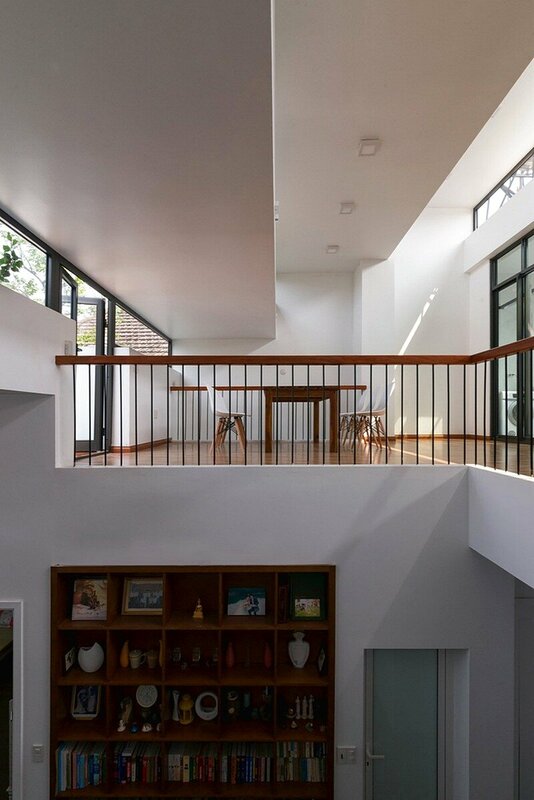 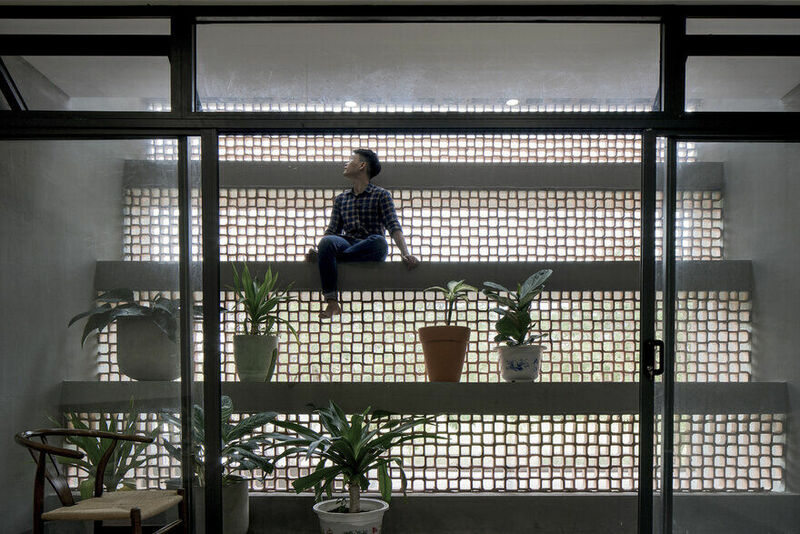 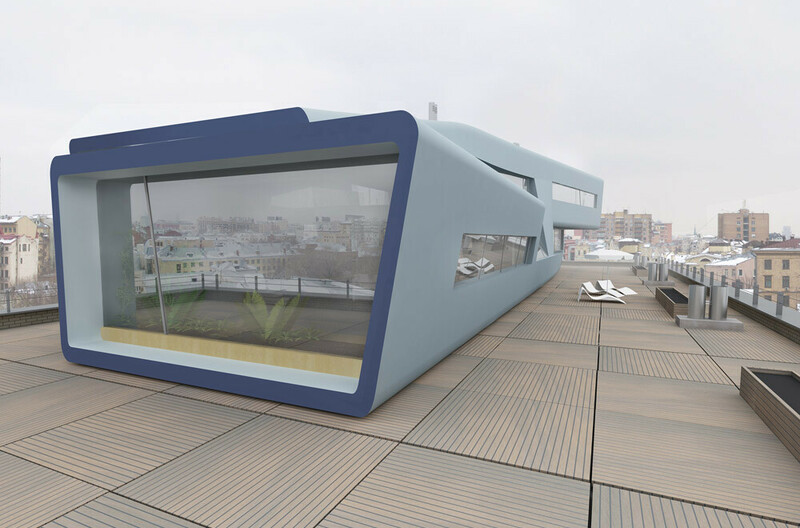 Certain accommodation space is located along the slope of the roof so that it is wide open to sight angles, light and shadow, which is enabled by concrete trays of farm produce at different levels high above. 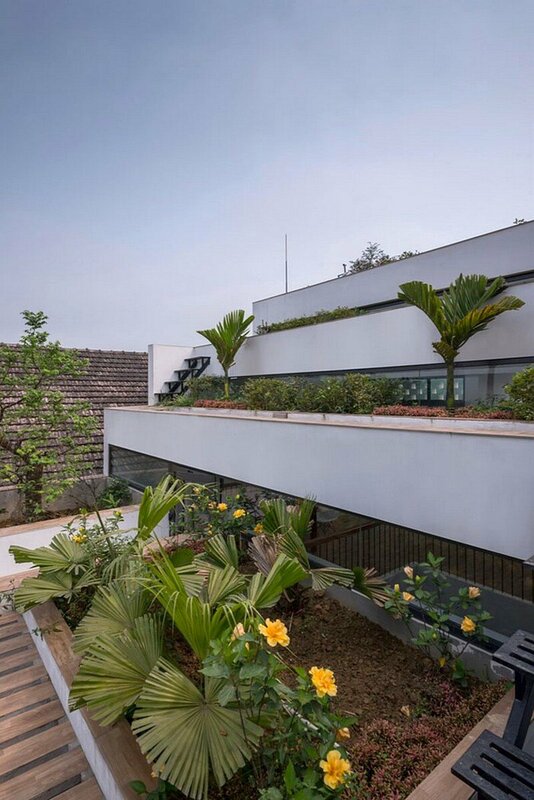 Along the two flanks of the roof are irrigation systems to keep plots of farmland evergreen, and mitigate adverse effects of habitat and tropical monsoon weather conditions such as shortage of green trees, noise, dust and smoke, heat, storms, etc. 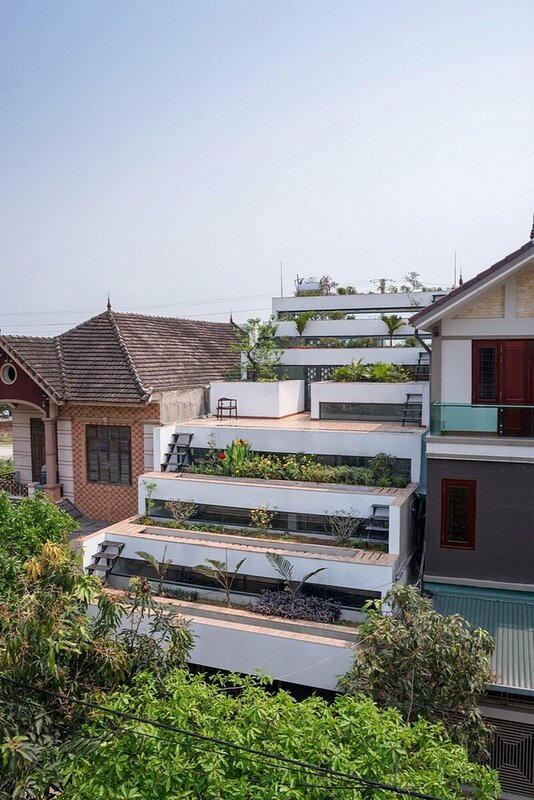 Agricultural cultivation helps bring city dwellers closer to the nature by giving them interesting first-hand experience in planting, taking good care and sharing harvested produce from their own farmland plots with their neighbors. 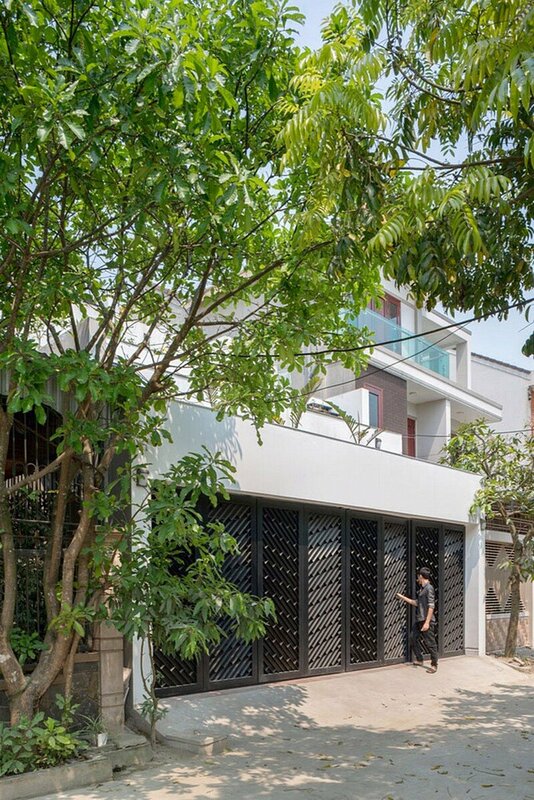 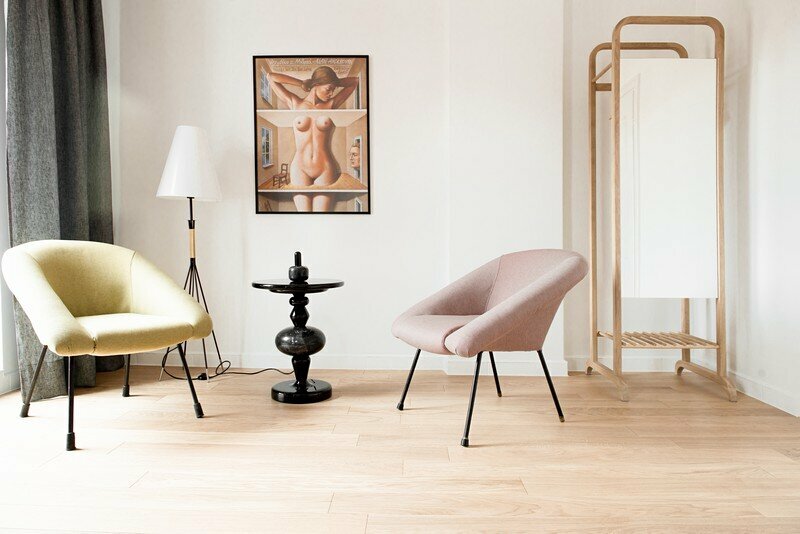 Terraces home serves as a constant reminder of the origin of paddy rice civilization in a flat world context threatened by various types of pollution currently at an alarming level. 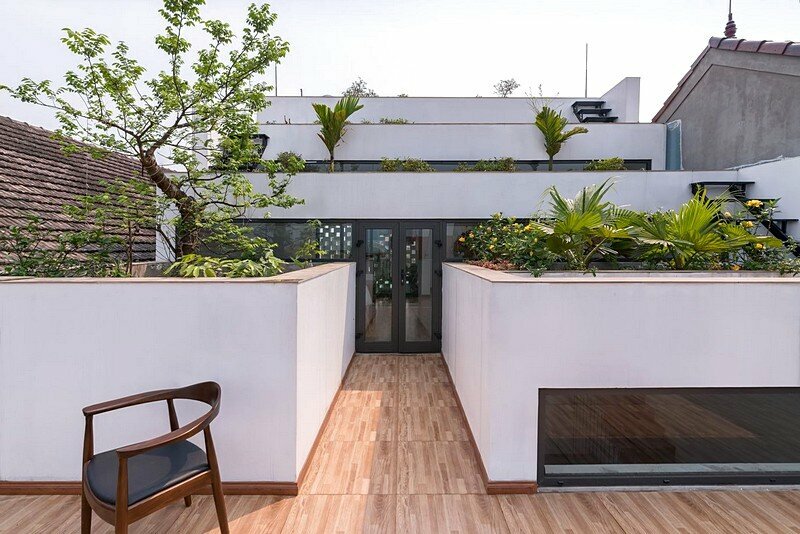 It is, at the same time, expected to promote the expansion of farmland plots in urban areas with a view to securing food supplies for future life.